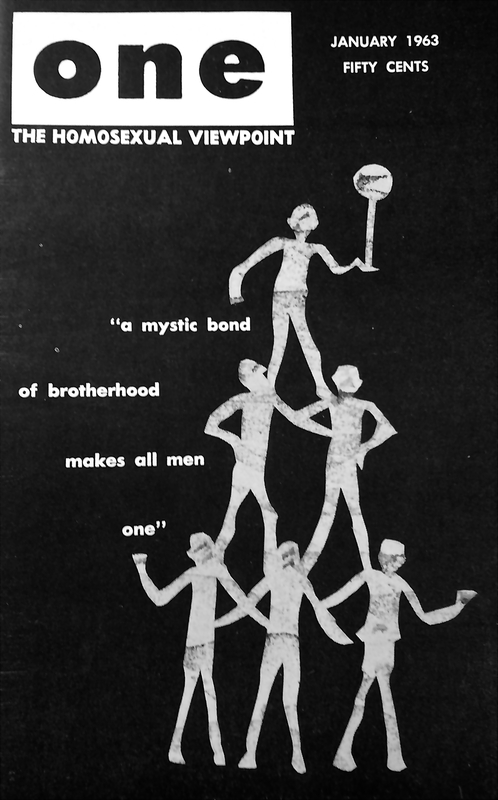 Project summary: A Mystic Bond of Brotherhood Makes All Men One is grounded in performance and queer culture and examines notions of place, asking how public areas such as bars, libraries, and parks act as third, shared spaces for the LGBTQIA community. Recordings of discussions in gay bars, as well as an original score recorded by the Heartland Men’s Chorus in Liberty Memorial Park, will play through speakers – at a conversational level – in the stacks of libraries in Topeka and Kansas City. Additionally, patrons will be asked to respond with text to the prompt “I realized ‘gay’ mattered when…”, and their answers will be displayed as installations at participating libraries. Library patrons will be invited to share their stories through various forms of communication – from antiquated to contemporary; a mechanical typewriter, an electric typewriter, a computer, a tablet, and handwritten. These responses will then be displayed as an installation in the libraries’ galleries, acting as a visual display of the impact queerness has had on the libraries’ communities. This interactive component of the project has the potential to have another life in other public spaces, such as grocery stores and malls, at a later date. Johnson County Parks and Recreation District is also a confirmed location for the installation of the prairie recording at a later date. Keehn’s investigation of third places has its underpinnings from a previous site-specific project, “An Otherwise Hopeless Evening”, that revealed a history of queer culture that has been silenced in the Greater Kansas City region. Continuing to foster existing relationships and develop new ones in the LGBTQIA community (with support from the Heartland Men’s Chorus, Gay and Lesbian Archive of Mid-America (GLAMA), and the gay performing community), “A Mystic Bond of Brotherhood Makes All Men One” will further advance the queer art movement in the Kansas City region. Public involvement is imperative for the realization of this project. Each installation of “A Mystic Bond of Brotherhood Makes All Men One” is site-specific, responding to each participating library’s community, and mirroring the complexity and metamorphosis of the journey from the homophile experience of the 1940s to the Lesbian, Gay, Genderqueer, Bisexual, Transgender, Transsexual, Queer, Questioning, Intersex, Ally & Asexual one today. Joseph Keehn is an artist, curator, and writer born and raised in Topeka, Kansas. His conceptually driven projects have combined text, images, videos, and performances to address issues of conventional norms, history, and power structures. As in the case of An Otherwise Hopeless Evening, Joseph’s projects are often temporal and site-specific, residing in an intentional place for a particular reason. In that work the Jewel Box Lounge was used to mount an exhibition of original and site-responsive works, arranged alongside curated artifacts on loan from the Gay and Lesbian Archive of Mid-America (GLAMA). In the series Subway Paintings (2007-2009), he used cleaning supplies and tape to remove the grit and grime of the subway station platforms in his Brooklyn neighborhood. Still visible on the Classon subway station on the G train, the work questions traditional views of painting while revealing the neglect of public transportation in an underserved neighborhood. For a commissioned project for the Stiefel Theater in Salina, Kansas, Joseph recorded the second instrumental and vocal parts of the Other, and these works have temporarily resided at Moss-Thorn Gallery of Art (Hays, KS), Shift Space (Wichita, KS), Mulvane Art Museum (Topeka, KS), Campbell Square (Salina, KS), Hobbs (Kansas City, MO), and Center for Contemporary Art (Seattle, WA). Grounded in performance and queer culture, his most recent work employing the time-intensive use of craft techniques–such as carpentry, knitting, needlepoint, and quilting–is durational, meticulous, and riddled with dichotomies: craft/fine art, feminine/masculine, traditional/non-traditional. Ultimately, the body of work he presents reveals the subtle differences between gay and straight worlds, which are constantly in flux (and have been since before such concepts even existed).